When you play as hard as you work, you need Reebok Men's Black RB4177 Tyak Non Metallic Composite Toe Athletic Shoes. You haven't got time to change your work shoes every time you go from work to hobby to going out on the town. Stay in this one pair of Reeboks inst ... (see full details) (see specifications) #RBKRB4177. When you play as hard as you work, you need Reebok Men's Black RB4177 Tyak Non Metallic Composite Toe Athletic Shoes. You haven't got time to change your work shoes every time you go from work to hobby to going out on the town. Stay in this one pair of Reeboks instead, and you'll be ready for every item on your agenda and who doesn't want to be able to do that. These glossy black shoes are designed in an athletic style that transitions easily between work and play. The oxford-style uppers of these Reebok shoes are crafted with soft, durable leather. It stays pliant around your feet to move with every step, but it’s tough against everyday wear and tear. Leather cleans up easily, and that makes it easier to maintain that glossy look. Inside, nylon mesh material surrounds your steps when you wear these composite toe shoes. Abrasion-resistant nylon stands up to the friction that results in sliding your feet in and out. It's also lightweight and breathable, so it won't add extra heat around your feet. Shock-resistant polyurethane in these non-metallic shoes keeps your steps cushioned from the hard world below. Polyurethane absorbs even more impact than rubber, but it weighs less. It keeps your steps light and softened from the pain of stepping. Made in a two-layer, dual-density design, the footbeds of these athletic shoes are removable and easy to clean. EVA foam creates cushioning in the midsole layer of these safety toe shoes. Airy foam soaks up shock to protect your feet, muscles, and joints. Wrap around shank stabilizers are built right in to the design to support your arches and prevent painful muscle strain. The rubber outsoles of these Reebok shoes are made in dual-density construction as well. Two layers of shock-resistant rubber help you bounce back from impact every time you step. Heel airbags add an airy cushion that absorbs force. That's a whole lot of cushioning, and it all works together to keep your steps lighter and less painful. These black shoes are made with 100% non-metallic construction that's totally security-friendly. But that doesn't mean they're any less safe. The extra wide toes have composite safety caps inside them. These lightweight, non-metallic toe caps are just as effective as steel, and ASTMF 2413-05 approved for protective footwear. The composite absorbs shock and impact, but unlike steel it doesn't conduct temperature or electricity, so you can feel completely safe in these Reebok shoes. Play hard, work hard, wear your shoes hard. Reebok Black RB4177 Tyak Non Metallic Composite Toe Athletic Men's Shoes are made to take it, and keep you comfortable while you're doing it. Bought for son. He got nearly 9 months of work wear. Great. The soles were completely gone but working on a dock takes it's toll on shoes. He usually gets about 6-8 months. Looks like I've found his birthday present again this year. Comfortable, wide enough. Love this shoe and realized I had not written a review when I came back to reorder. I hit the gym when I'm done for the day's work. These Reebok shoes are the perfect shoes if you have an active and balanced lifestyle. I don't have to carry another pair of shoes for the gym. They're pretty durable and I wear them almost 12 hours a day. They still shine good as new! I'd recommend these all day! These Reebok shoes are really sharp nice-looking shoes they are soft they feel really good. Excellent padding in them the size is just a little big they are not too heavy for steel toe shoes I would highly recommend them thank you! 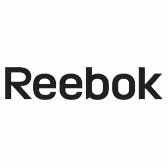 Reebok Shoes: Men's Black RB4177 Tyak Non Metallic Composite Toe Athletic Shoes is being added to your cart.